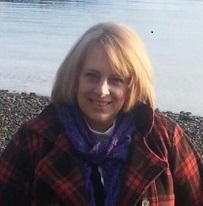 Welcome to Alaska’s New State CTE Director, Deborah Riddle! Deborah Riddle was born in Glennallen, Alaska, and raised near Bristol Bay, on the western coast of the state. When she made her way many years later to southern Utah to be a teacher, there was one problem – it was just too hot. So Riddle and her husband began looking for jobs back home in Alaska, and as a back-up plan, “as close to the Canadian border as possible,” she said. That led her to Simms, Montana, to teach middle school math and science. When the school district also needed someone to teach Career Technical Education (CTE), Riddle stepped up. What first began with teaching traditional home economics classes then grew into robotics classes and even helping start and support related Career Technical Student Organizations (CTSOs) at the local high school. After 15 years in Montana, home was still calling, so Riddle took a position with the Alaska Department of Education and Early Development. She started at the State department five years ago doing school improvement focusing on mathematics. For the past year, Riddle has managed the state’s federal funding under Title 1 of the Elementary and Secondary Education Act (ESEA). The state department recently reorganized, and with those changes, Riddle’s responsibilities expanded, including the title of State CTE Director and responsibilities of managing another source of federal funding through the Carl D. Perkins Career and Technical Education Act (Perkins). Riddle said she is excited by the prospects of making connections across the federal education laws to maximize funding and other opportunities for Alaska’s students. Since being named the State Director in February, she has been learning all that she can about CTE in Alaska, and said she has been so impressed by the depth and diversity of the stakeholder support she sees for CTE at the local level, especially the connections to employers, community colleges and workforce development. “I knew there were partnerships, but I didn’t realize how many and how varied there were and what (stakeholder engagement) can really add to a program,” she said. Riddle said she is also looking to bolster CTSOs in Alaska and continuing to strengthen and overcome the unique challenges to offering CTE for the state’s most rural schools. This entry was posted on Tuesday, March 28th, 2017 at 5:00 am	and is filed under Advance CTE State Director. You can follow any responses to this entry through the RSS 2.0 feed. Both comments and pings are currently closed.